Our experts can generate a color correction matrix for you. Just supply us with a compatible color test chart image, and we'll returrn a CCM to you within one business day. 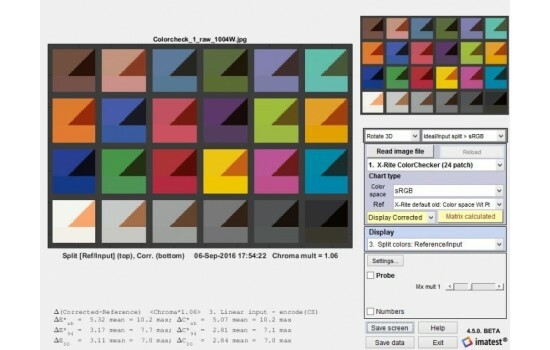 Send us an image of a multicharts compatible color test chart, and we will generate an optimized color correction matrix. For non-uniform imaging systems, also include a flat-field target so we can perform nonuniformity correction.